Certain prominent Colombo-based ‘human rights professionals’ are making merry, wining and dining in upmarket restaurants, hoodwinking donors by filing expenses under ‘safe’ cost columns, Colombo Telegraph learns. Incidentally, Hattotuwa was recently removed from the CPA senior staff after verbally abusing a female co-worker. 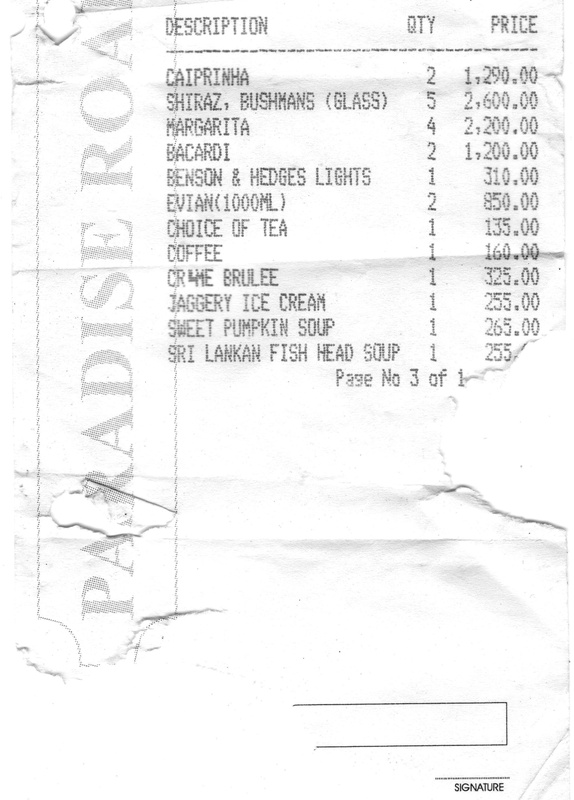 Documents currently held by Colombo Telegraph indicates that Hattotuwa spent Rs 20,865 on food and alcohol for a night out with friends. 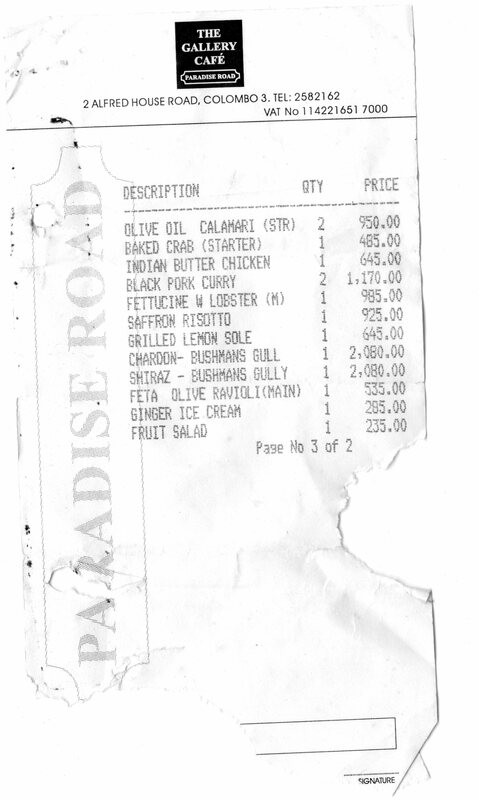 The breakdown of the bill is as follows: Olive Oil Calamari -2- Rs 950.00, Baked Crab – 485.00, Indian Butter Chicken -645.00, Black Pork Curry – 2,- 1,170.00, Fettucine W Lobster – 985.00, Saffron Risotto -925.00, Grilled Lemon Sole – 645.00, Charoon Bushmans Gully – 2,080.00, Shiraz Bushmans Gully – 2,080.00, Feta Olive Ravioli – 535.00, Ginger Ice Cream – 285.00 and Fruit Salad – 235.00. Caiprinha 2 – 1,290.00, Shiraz, Bushmans (Glass) – 2,600.00, Margarita 4 – 2,200.00, Bacadi 2 – 1,200.00, Benson &Hedges Lights – 310.00, Evian (100ML) – 850.00, Choice of Tea – 135.00, Coffee – 160.00, CR Brulee – 325.00, Jaggery Ice Cream – 255.00, Sweet Pumpkin Soup – 265.00, Sri Lankan Fish Head Soup – 255.00. “The answer to both your questions is no,” Saravanamuttu responded. However an investigation by Colombo Telegraph has revealed that details provided by the whistleblower are true, and multiple sources confirmed that they are aware of this particular dinner and wine bill incident. The Unit Coordinator has confirmed that Hattotuwa had asked him to put the amount down as travelling and pays him back. “This was not the only occasion Sanjana wanted me to do that, he was a real pain, I had to balance everything, I was new to the NGO field then” the Unit Coordinator said. A rural human rights activist and CPA supporter, Gunasena Lukuge last night said that he was shocked by the “lavish” spending, which he said proved that NGOs were failing to apply “basic financial controls”. “They use aid monies them to fund a glamorous lifestyle way beyond the reach of most of average citizens,” he said. Dambala Amila Thera As A Common Candidate! Is anyone surprised? I’m not. Hotta and his NGO crew have been doing this for years. Ok Ok, He needs money so he is correct. CT needs news so they are correct. We read news for entertaining purpose :D so we are correct. Many Sri Lankans read news for entertaining purpose since we have high literacy compared to other South Asians nations. We (Sri Lankans) used to make fun of news. For example, See comments in every site whether it’s Sinhala, English or Tamil all are cool. This is the only characteristic that make possible to identify Sri Lankan. All other characteristics are Sinhala Buddhist, Sri Lankan Buddhists, Hindu Tamils, Sri Lankan or Indian Tamil, Soft Jahadi Muslims, Sri Lankan Muslims, etc. So He must be thanked for more entertaining our people and unifying country through this. After Steave Jobs visit to india. He so our nations(Sri Lankan) and said “Stay Hungry and Stay Foolish” what we are exactly like. Considering that fact this guy is not a Sri Lankan. Though he is Foolish (he have not careful enough to protect that bill from CT) he haven’t stay hungry. Now You all Must stay Foolish and Stay on News. By the way both Sides so far have said nothing that can be believed regarding this matter. I wish all publish more about this. Not just in Sri Lanka. This immature vendetta against ground views is unworthy of the standard I expect from ct.
Well, well well—- those in glass houses!! Hattutuwa you fool you are the Lance Armstrong of Sri Lanka. Shame!!!!! 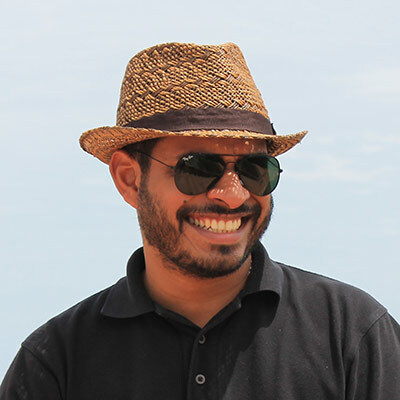 You have found fault with just about every other journalist in Sri Lanka and now it comes to light that you are far worse than any of them!! At least none of them professed to be saints!!!! Oh advocate of freedom, fairness and anti-corruption, looks like you have run out of friends as well. This is what happens when your soul is black. You eventually end up in the mud.